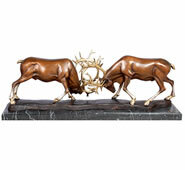 No creature is more magnificent than the wild deer, from the western mule deer roaming the ridges of the Rocky Mountains, to the graceful whitetail deer wandering the forested wilderness of the Northeast. 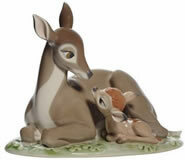 In Native American culture, they symbolize grace, gentleness and peacefulness. 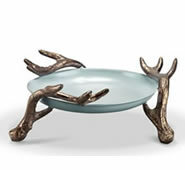 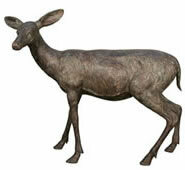 AllSculptures.com offers a beautiful selection of deer sculptures and deer statues for the home and garden. 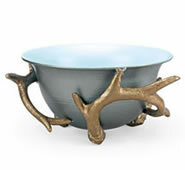 These items are cast using fine materials such as bronze, porcelain, stone, crystal, designer resins and more. 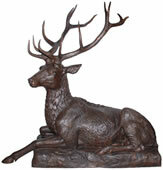 Please enjoy browsing our sculptures and don′t hesitate to let us know if we can answer any questions you may have.